This is the last rocky headland on the Port Stephens peninsula before reaching the endless expanse of Stockton Beach. 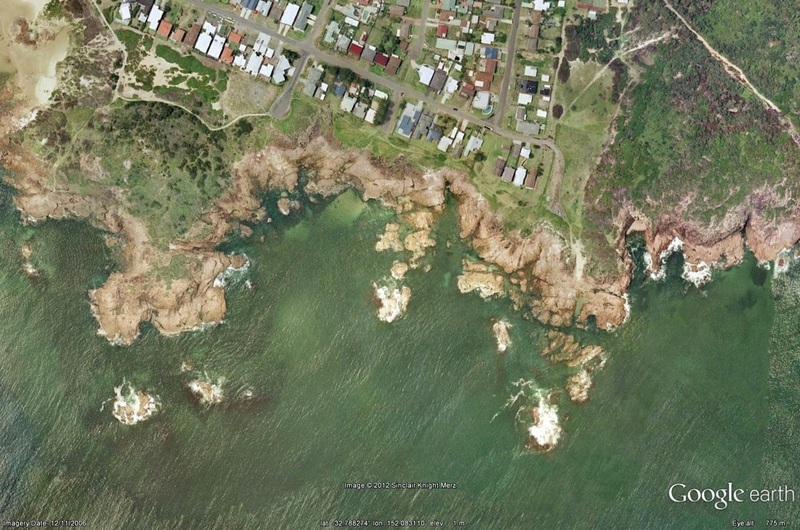 To get to Birubi go to Anna Bay and then head down Morna Point Rd to the end. Look for a carpark in one of the side lanes leading down to the rocks. This site can only be dived when there is virtually no Southerly swell and winds are from the North or North West. This is not a great dive for fishlife but it has a fantastic array of brightly coloured algae species making it feel like you are swimming through a garden. The algae or course harbours a wide selection of invertebrates and at this site you will find many species of shells, nudibranchs, urchins and seastars.